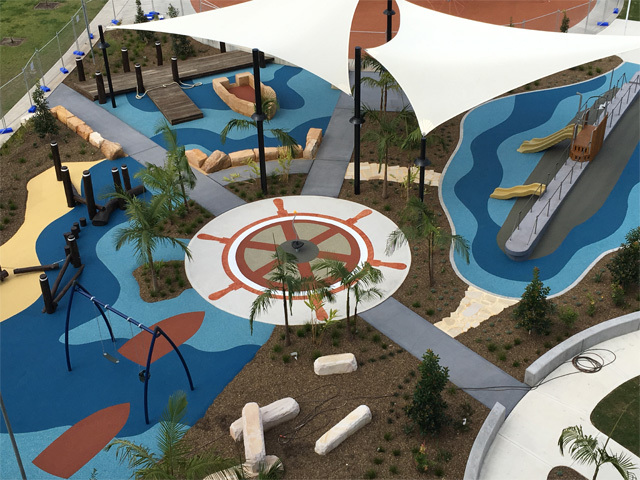 The nautical themed Halvorsen Park in Ermington features a range of sea-faring inspired activities for children of all ages. 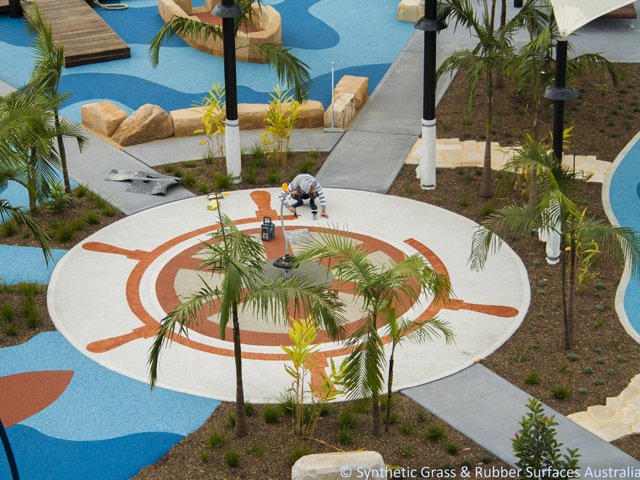 The park was designed with a nautical theme to tie in with the areas boat building and Australian naval history. 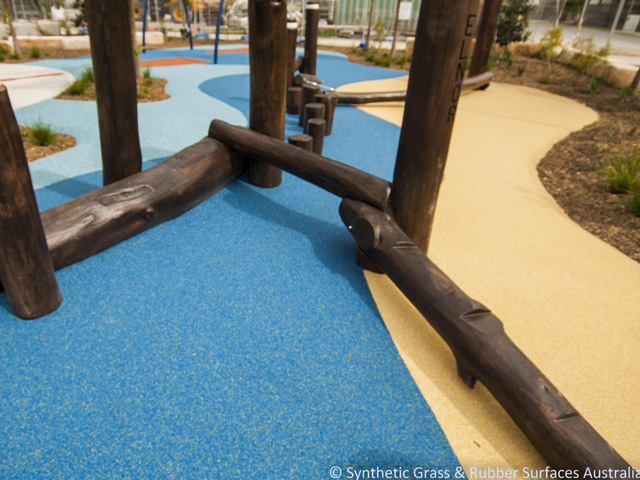 Surface Designs was challenged with the supply of 361m² of RosehillTPV® Rubber Wetpour in 11 different colours. 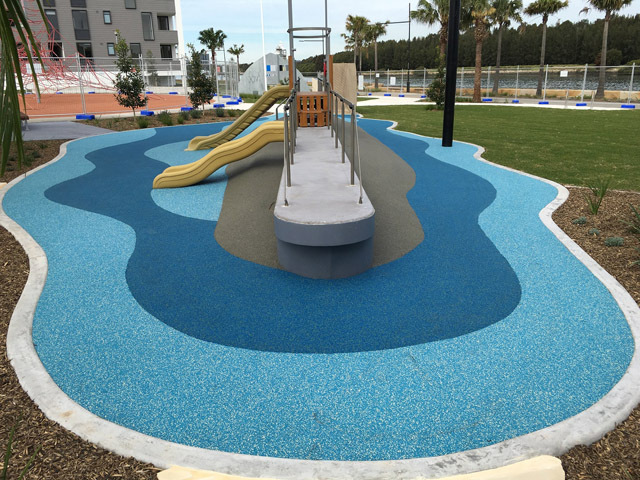 Recently, park designer Fiona Robbe from Architects of Arcadia, was awarded the 2017 Parks and Leisure Australia PLAYSPACE Award (under $0.5M), in recognition of the outstanding finish project. Supplying the rubber safety surfacing industry with the ultimate in rubber granules.